Mckenna also got her hair cut and "styled." Oh, sorry, trimmed not cut. It is still long and beautiful, but not so dry at the ends now. 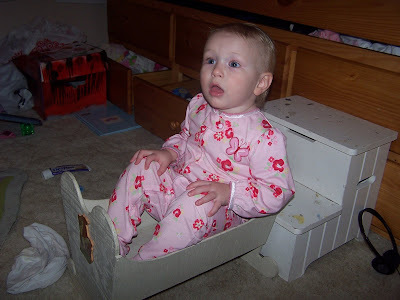 Jules climbing in my old doll crib.